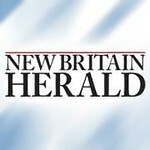 New Britain Herald - Tax season is here. Fulco, DiTommaso, McMahon & Co., P.C. is ready to help. Tax season is here. Fulco, DiTommaso, McMahon & Co., P.C. is ready to help. NEWINGTON – Fulco, DiTommaso, McMahon & Co., P.C. is ready to help Connecticut individuals and businesses during tax season and year round. Fulco, DiTommaso, McMahon & Co., P.C. is an accounting firm that has been servicing the Hartford County for 66 years. Salvatore Fulco began the firm in 1953 in Hartford. Ben DiTommaso joined shortly after. Patrick McMahon joined the firm in 1975. Fulco retired and DiTommaso passed away a number of years ago. Bertrand Rouleau merged with the company in 1999 and this allowed the firm to expand into Bristol. The firm now has offices in Newington and Bristol. The firm also handles quick book consulting. They have a certified quick book pro-advisor. During tax season, evening and Saturday appointments are available. Accountants, administrative staff and certified public accountants make up the staff of the company. McMahon said the company wants to make clients aware of a new tax law that will affect individuals and businesses. With the new law, individuals will have higher standard deductions, a higher child tax credit and there’s a different look in the tax forms. Business will also experience change. “Regular capital “C” corporations will be taxed at 21 percent, which will be an increase from 15 percent on small corporations with profits of less than $50,000,” McMahon said. The Internal Revenue Service recently came out with additional regulations but the rules have not been finalized. To learn more about Fulco, DiTommaso, McMahon & Co., P.C., call 860-667-0105 or visit the company’s website www.fdmcpa.com . Posted in New Britain Herald, Business, , Newington on Tuesday, 5 February 2019 19:59. Updated: Tuesday, 5 February 2019 20:02.